Landscape painting & prints - Loch Lomond from Balloch, Scotland. Loch Lomond Painting & Prints – Evening Light, Balloch, Scotland. An original abstract, atmospheric seascape / landscape painting of Evening Light over a Loch Lomond from Balloch, Scotland. 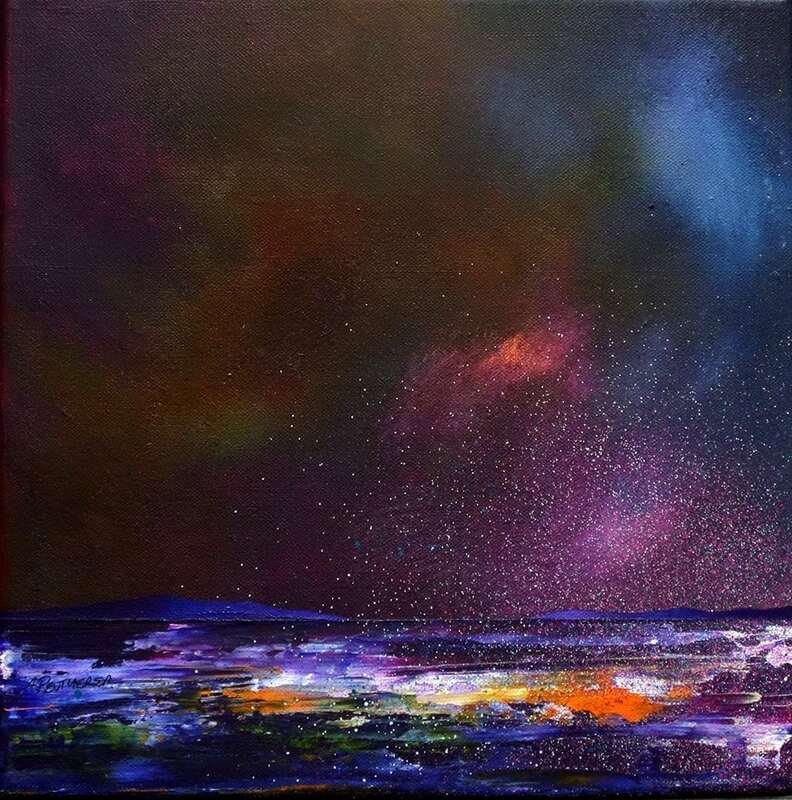 A mix of mediums are blended, layered, sprayed, scraped and splattered over the canvas to produce a very unique & atmospheric painting, depicting the ever changing wild weather that constantly sweeps across Loch lomond and Balloch town. 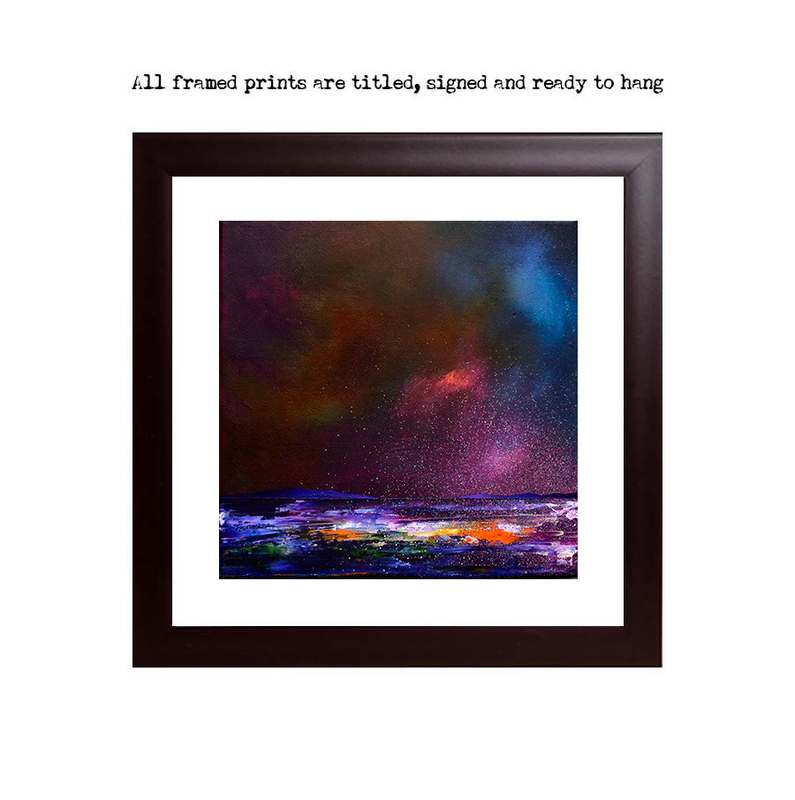 I layer different types of paint & application of mediums including spray paint, oil paint, acrylic paint & others, creating a unique style of atmospheric painting full of vibrant colour & drama. Painting & prints of Loch Lomond from Balloch in Scotland. Painting of Loch lomond from Balloch, Scotland. An original Scottish landscape painting of the Evening Light over a Loch Lomond from Balloch, Scotland.